The best part about travelling are the amazing people I meet along the way. One of them is Dorothy, an American expat living near Boquete in Panama with her family. 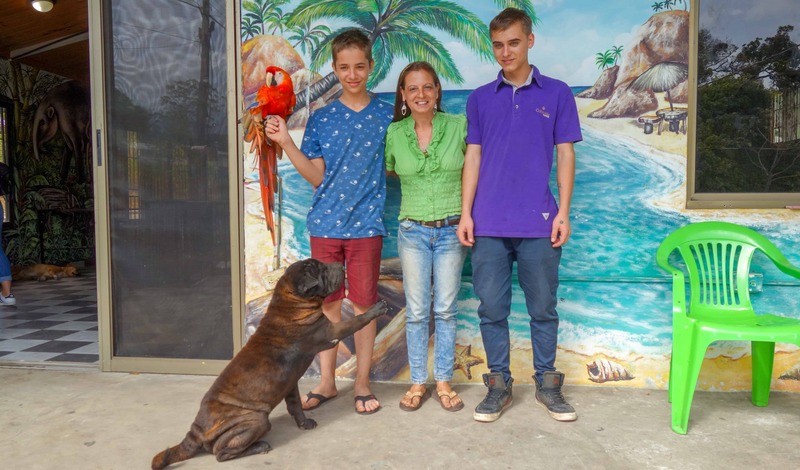 She runs Jungla de Panama, a wildlife refuge where she helps injured and abandoned animals, and she agreed to do an interview with me so I could learn more about this fascinating woman and her story. How long have you been living in Panama and why did you decide to move here? I have been living in Panama for almost nine years. Panama was a better place for me and my children. It is very nice here. Did you move directly to Boquete or did you live elsewhere in Panama first? No, this was the first place I moved to. How long have you had Jungla de Panama? Well, I moved down nine years ago. It took me about a year to work things out, so I have been running this place for eight years now. What gave you the idea to open an animal shelter? I came to retire with my three children and people found out that I did animal rescue in the States. They started bringing me their animals and I couldn’t say no. And I turned around and had all these habitats on my desk, every desk I had was full of cages. So finally, I decided to take over the whole property and start building habitats. And I opened up the casita, an apartment and a hostel, so people could come and stay, hang out and volunteer. People can come from all over the world and stay. We do school field trips, we provide animal therapy for handicapped children, and lots more. It took me about a year to build it all up and get it ready. 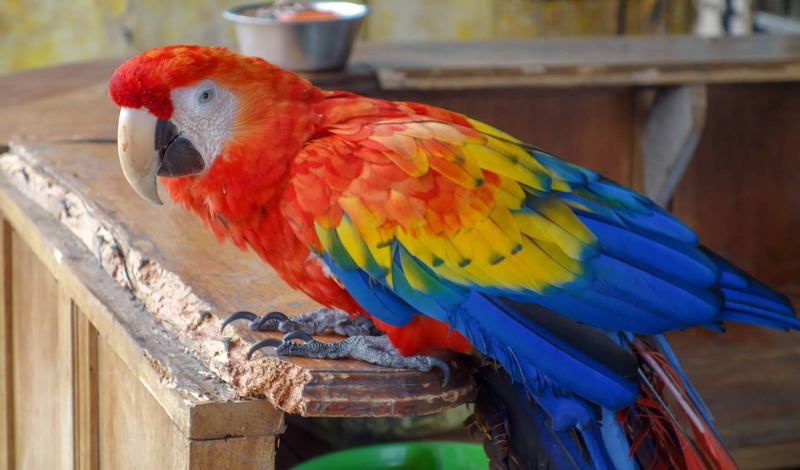 Casey the macaw. With her broken wings she cannot fly anymore. You said you already did rescue in the States. What exactly was your job there? I rescued animals, but I was also involved in animal therapy. I dealt a lot with autistic children, who I would work with one on one until they were ready to go to a normal school. But it was not just autistic children. I did riding therapy with children who had all kind of disabilities. How many animals do you have here right now? Right now? Oh. Twenty-seven cats, thirteen dogs, and I’ve got the monkeys, the owl, the racoon, the parrot. I also have a guacamaya, a turtle, the bunnies, a pony and goats. How many animals do you manage to release back into the wild and what was the last one you released? Oh, we release probably 98%. Definitely. We had a snake and we released some little dogs that we had here yesterday. But some of them can’t be released since they’ve been in someone’s home. They have been domesticated and they’ve been in someone’s home their whole life. 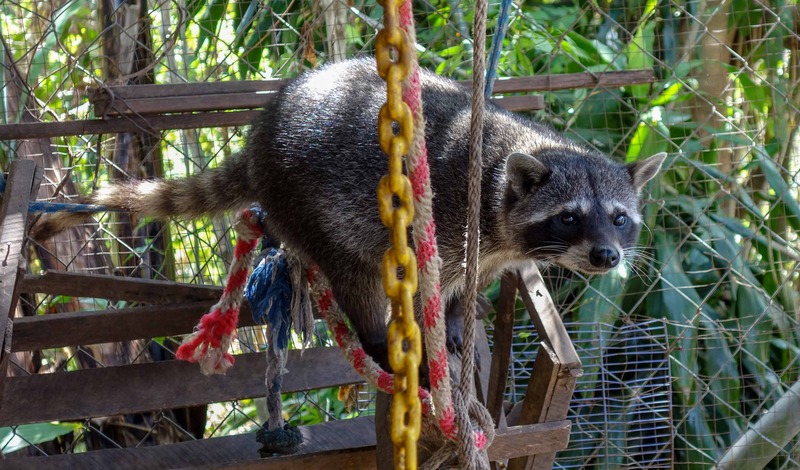 We try to release them, but Jack, the racoon, he has been released three times. He goes to my neighbours, goes into their house, grabs their food and then my neighbours bring him back. It is so hard to release some of them. And then, some like the macaw can’t be released. She’s almost twenty-seven this year and her wing is twisted, so she can’t fly. How many visitors do you get here? I don’t keep track of that, even though I should. These days, we have a book where people can sign in, so we can check. I should have them write down the date, I should, but I’m getting there. I don’t even have a computer. This rescue centre, and the animals, this is what I do, not the computer stuff. I don’t actually know how many visitors we have. I might get a couple that comes through, or a family, or a couple of families. People stop to visit and I can get anywhere from two to thirty people a day, I guess? Do you want to add anything else to this interview? We are not a zoo. We rescue and rehab animals. Our mission is to release. If we can’t release, then we put them into those larger habitats. And some animals are so old, they come to retire here. One example is our shepherd, who is seventeen. This is probably her final retirement. We provide different services for people, for examples for school or for birthday parties. It is a place to enjoy, for family, couples and everyone else. People meet here all the time. They stay here and they meet in groups and then they continue their travels together. Everything is so calm and, as you see, very easy. I have two final questions. What are your favourite three things to do in Boquete? What would you recommend if a friend came to visit you? I would have them go to Tree Trek, that’s kind of cool. You don’t have to do the bungee, but they built a big bridge. It’s very nice. The other thing, I would say Rio Encantado and Caldera are nice, too. They also have a bridge, you can go over the river and there’s a beautiful tree house you can stay in. Plus, they have a pool. You can sit there, you can have a drink by the pool, or you can go to the beautiful river for a swim. So that’s another one and besides that, I can also recommend Andy. My neighbour up here in Palmira has a beautiful cottage. People go there and can make their own candles, their own salt, and she also has her own coffee plantation. You can adopt a coffee plant and have a camera and watch it all year. Then you can come and harvest the beans, if you come to Panama, or you can ask her to do it. You can watch her do it in front of the camera, she’ll bag the coffee and send it to you. Isn’t that a cool thing? What about Panama in general? What are your three favourite places in Panama? Well, I haven’t gotten around much. But I would say Las Lajas, where the beaches are. I heard San Blas is nice, too. Santa Catalina, that area is nice. Plus Bocas. I like Bocas. I have been there twice, but if I got the chance, I would go again. All of those places are built so people can explore. Jungla de Panama can easily be reached by taxi from Boquete. There are also busses going from Boquete to Palmira, which can drop you off at the rescue centre. Entrance and guided tours are free, but I highly recommend you leave a donation. The suggested amount is 10$, and all money goes towards buying food for the animals or paying for the veterinarian. As Dorothy already mentioned, it is possible to stay at the rescue centre. 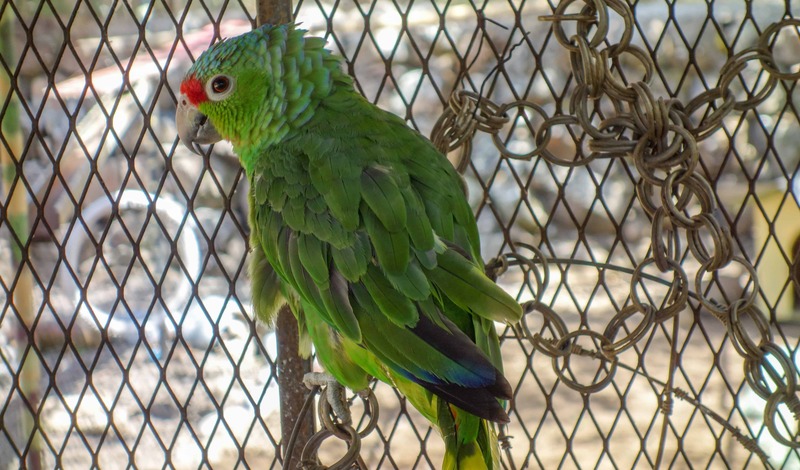 She also accepts volunteers, so if you like working with animals, this is a great chance to get close to spider monkeys and macaws. Check out her website for more information on how to contact her. You can read more about the experience of visiting Jungla de Panama here on Travel in 35mm. 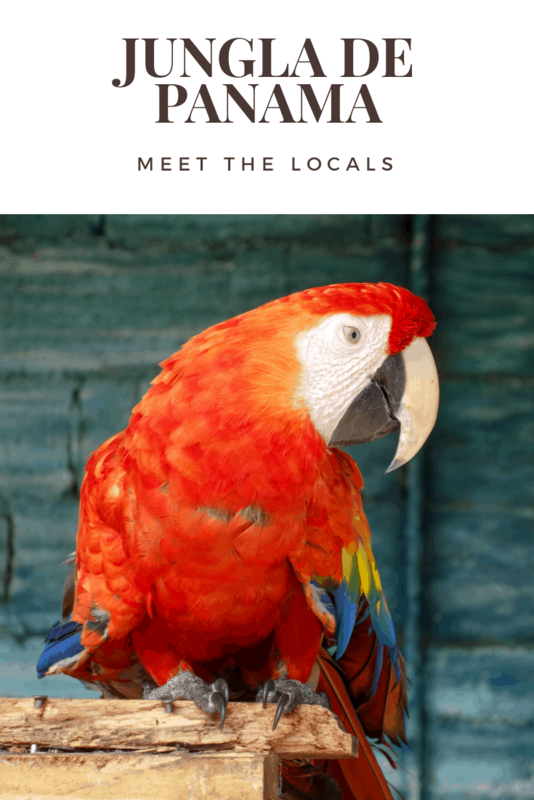 Also, if you are interested in reading more interviews with locals, check out my interviews with Jaime from Ecuador and Juan from Medellin. Easy to follow, readable…heck I had fashioned to leave a commment!